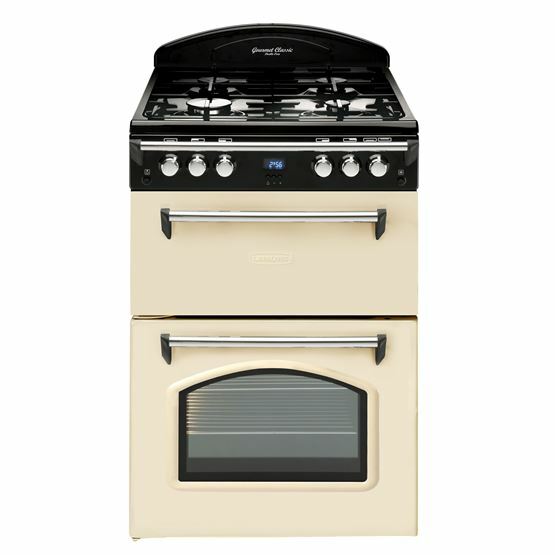 Bringing the versatility of range cooking to those with less kitchen space, this range-style cooker's two separate ovens provide plenty of room for preparing large family feasts. 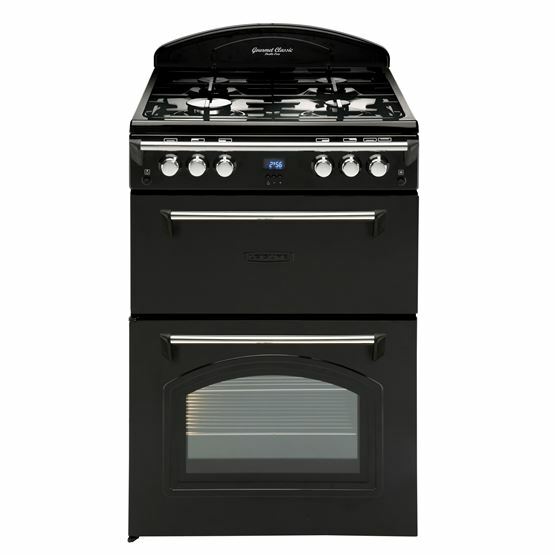 Perfect if you prefer traditional cooking, the gas main oven will cook at a slightly higher temperature at the top of the oven. And, an in-built timer can help you effortlessly keep track of your cooking times, by setting the oven to start and finish cooking at a time that's convenient to you. Celebrating your inner foodie, two separate ovens make room for an extra splash of culinary creativity. A saviour when entertaining guests, the additional space allows you to rustle up your side dishes in one oven, whilst your main dish cooks in the other. Blending style with sturdiness, the cast iron pan supports give you all the stability you need when cooking on the hob surface, whilst also adding a professional finish to your kitchen. Good Points: Really good Look and design. Cooks evenly. I’ve just bought the cooker so only time will tell when it comes to performance. Overall I’m very happy with my new cooker. Good Points: never had a gas cooker before, very easy to use great. Good Points: The hot plate and the use of either grill or small oven whilst using the main oven. Bad Points: The bar across the top which is only there for design but can restrict use of controls and does not come with a wok burner. Good Points: A lovely solid design with easy to clean features, Love it, instant heat, very powerful . Good Points: Ignition to light gas so easy and the clock. Installation guidelines: This appliance is not suitable for use on any type of boat (offshore, inland waterway, canal boat or house boat), caravans or motor homes. Incorrect installation environments will void the guarantee. Installation in static caravans and mobile homes is permitted.